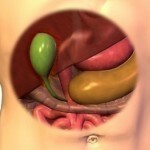 Although the appendix has no known function, it can lead to health problems. Usually the diseases affect young boys age ten to fourteen. 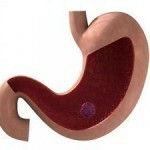 The most conspicuous sign is severe stomach pain. This can happen during the early stages of the disease. Obviously this ailment can be caused by other diseases so other indicators have to be considered. The other major indicators appear when the appendix is about to rupture. These symptoms will last for 24 hours or so. Among these signs are fever, accelerated heartbeat and very high white blood count. The hurt usually begins at the upper part of the navel. The pain itself may be sharp or just a dull sensation. The ache will move on to the right abdominal section and be more severe. It’s important that all minor and major symptoms are assessed. The symptoms are very similar to other ailments so that no mistakes are made. Presence of bacteria in the appendix must be evaluated to see if it’s going to rupture. The doctor usually starts the exam by checking the stomach. Problems with the appendix make the stomach hard, yet tender when held. The patient will be asked if coughing increases the pain, and usually it does Urine tests will also be conducted. The doctor will also inquire about loss of appetite or constipation. In some cases, diarrhea is reported. The body temperature will be assessed. If the fever is high, it could be mean that the appendix has ruptured. Because the pain moves, the doctor will ask if the pain remains in one place or if it goes around. Blood tests will be performed. It is necessary to determine the white blood number. 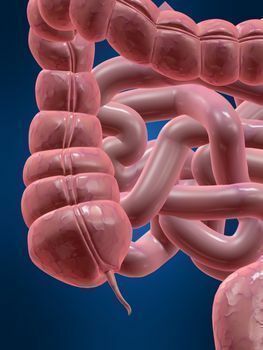 A high number coupled with the other symptoms mentioned earlier, is a sign that there are appendix problems. Once this has been confirmed, surgery will be performed. The surgery is called an appendectomy. Sometimes, laparoscopy is used instead. Some prefer this option because the scars are only smaller. Before this can happen, additional tests may be conducted. To confirm appendix problems, an ultrasound may be done. The ultrasound also helps rule out any chance that another disease may be causing the stomach pain. A CT scan is also conducted along with the ultrasound. Operations are usually very successful. Less than a percent of patients experience complications. When health complications do happen, it often affects children or older folks. It isn’t easy to prevent appendicitis as its cause it still uncertain. It’s not also clear why it affects mostly males and why it’s mostly confined to certain age groups. But most doctors would recommend that a healthy lifestyle be maintained. Exercising regularly and eating fiber rich foods may be helpful. It’s also a good idea for young kids to learn the value of eating vegetables. Lowering their fat intake will also help them in their later years. There’s no definitive link between eating healthy foods and keeping the appendix strong. But eating vegetables and fruits will provide long term benefits. Aside from potentially fending off appendicitis, it promotes a stronger physical body.